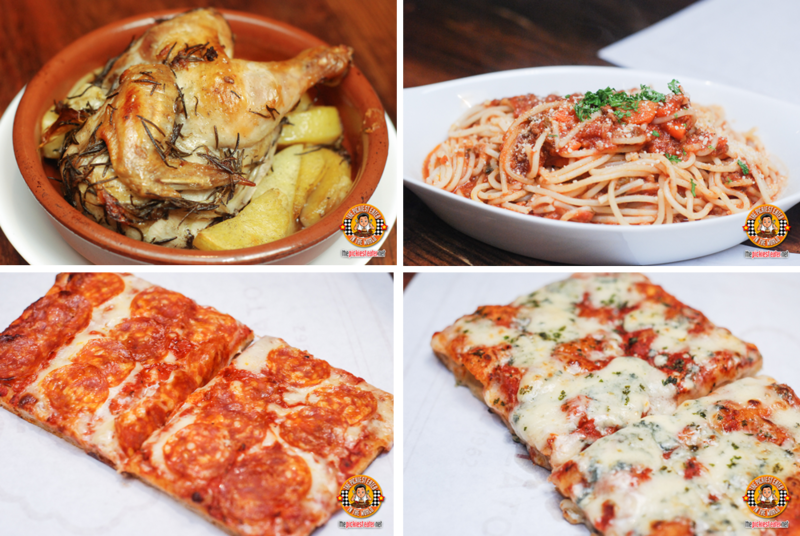 THE PICKIEST EATER IN THE WORLD: 30 New Gastronomic Restaurants at SM City North EDSA! 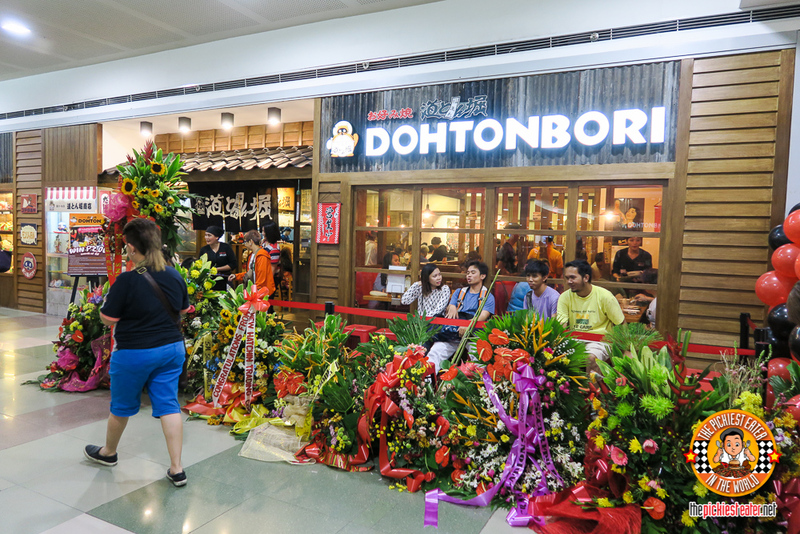 30 New Gastronomic Restaurants at SM City North EDSA! 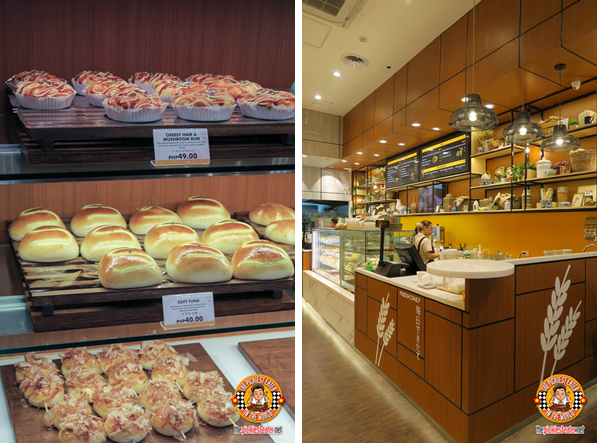 Being a resident of Pasig , for the past few years, I really don’t frequent SM North too often. 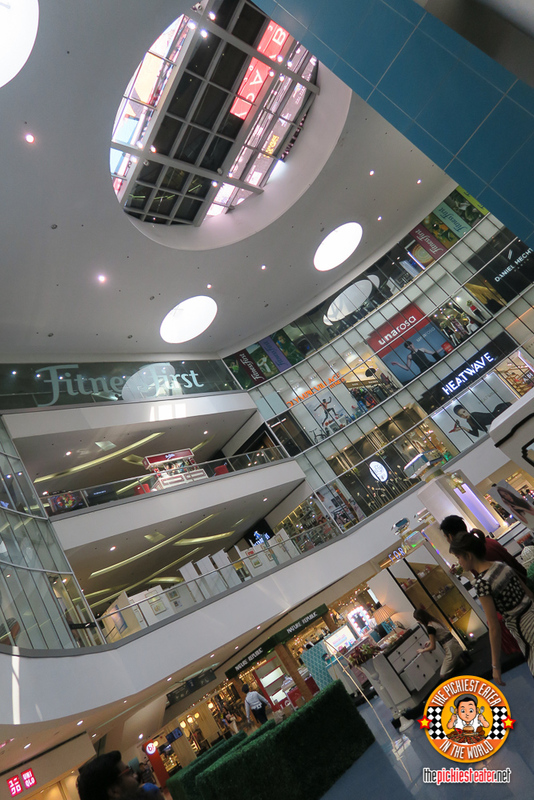 I can’t even remember the last time I was there, so I was quite surprised to see the new areas, especially The Block. Seeing the place made me feel like I was a kid in a candy store, for the lack of a better analogy. New restaurants have sprouted one after the other, creating a utopia for food lovers everywhere! And I’m not talking about food stall type selections either. 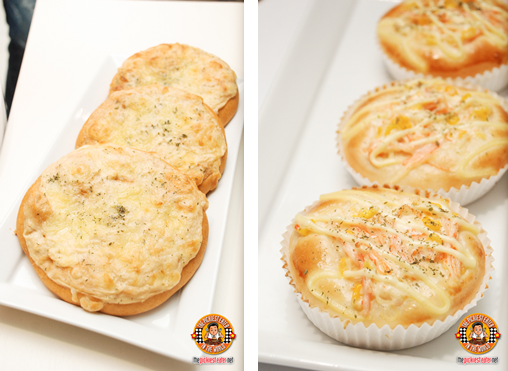 I’m talking about diverse selection of restaurants with international flavors that will satisfy every palate! 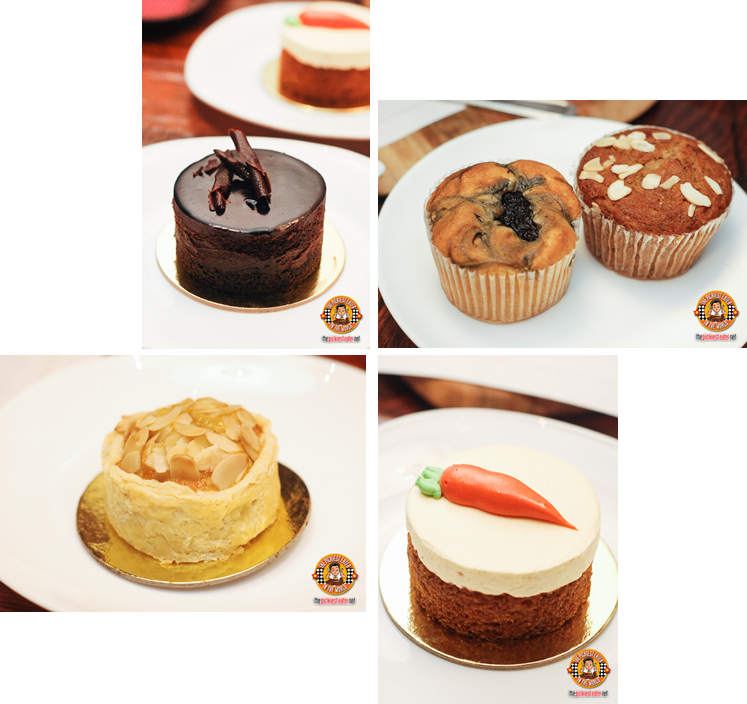 So in honor of SM Supermalls’ 30th Anniversary, we took a tour of some of their gastronomic dining options that consisted of Asian flavors, Filipino Feast, Savory treats, and and sweet desert places! This was the food crawl that that would make you believe there’s a heaven on Earth! 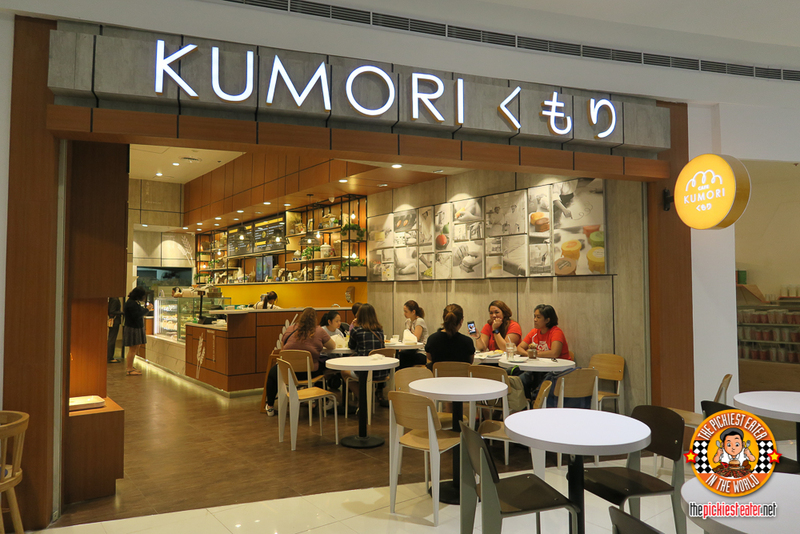 We all headed to the Food Circuit at The Block Ground Floor and started our food crawl at Kumori. 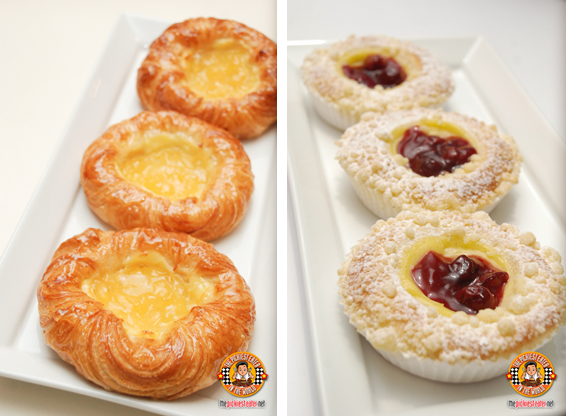 A delightful little place that bakes fresh pastries and more! Black and white interiors with Japanese illustrations make you feel like you might really be in Japan! I was honestly surprised that I enjoyed everything we had. The Yasai Kakiage Ten Tama Soba P300 (left photo), had a delicious broth made creamy by the egg, and then add the crispyness of the vegetable tempura. I didn’t even really notice it was veggies inside. 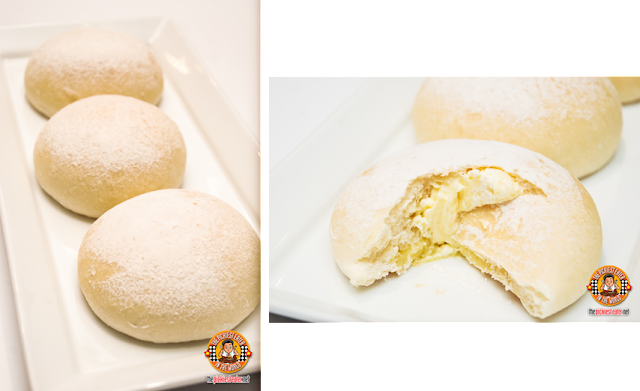 Rina really liked the Aka Fuji Udon P260 (top photo). It may look super spicy at first because of the chili powder, but it’s really very tolerable. A good mix of savory broth with a hint of spice, the tasty thin slices of beef, sous vide egg, plus the chewy udon makes this a real treat to have. 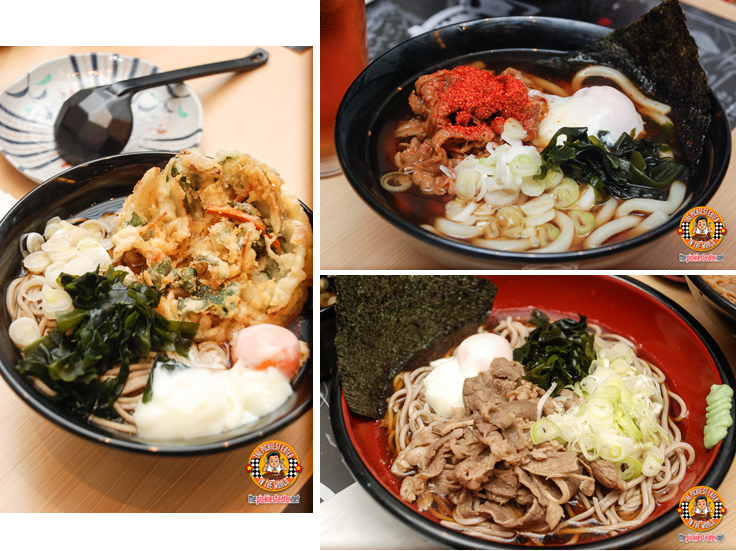 And then there’s the Hiyashi Niku Fuji Soba P260 (bottom photo) which is also rich in that sweet and salty Japanese broth, made creamier with the egg. 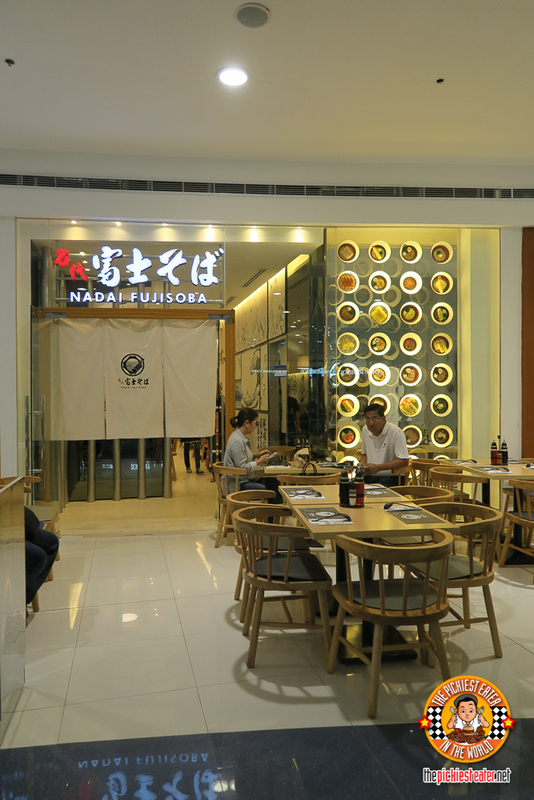 Another good item to order from Nadai Fujisoba is their tempura dishes. Big and has a good breading-shrimp ratio. Even with these tempuras soaked in sauce, they remained really crunchy. I didn’t really like the idea of cold noodles because I believe noodles should be served hot. 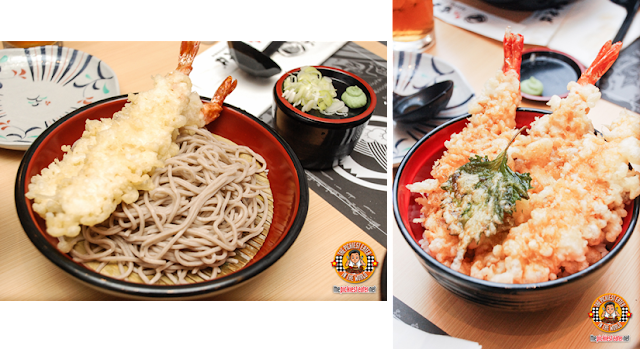 But surprisingly their Ebi Ten Mori Soba P260 (left photo) was really good. The cold soup is served separately in a cup. And when they say cold, it really is cold. Like it had ice or something. The soup has that sweet soy vibe that is reminiscent of Tempura sauce. And then on the right, the Ebi Tendon (P230). You can never go wrong with plump pieces of beautifully fried Tempura on a bowl of steaming, pillow soft Japanese rice. 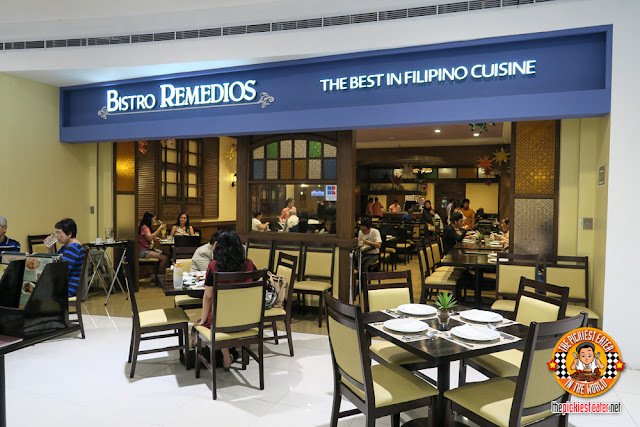 If you’re in the mood for Filipino food, Bistro Remedios is a great option for you. 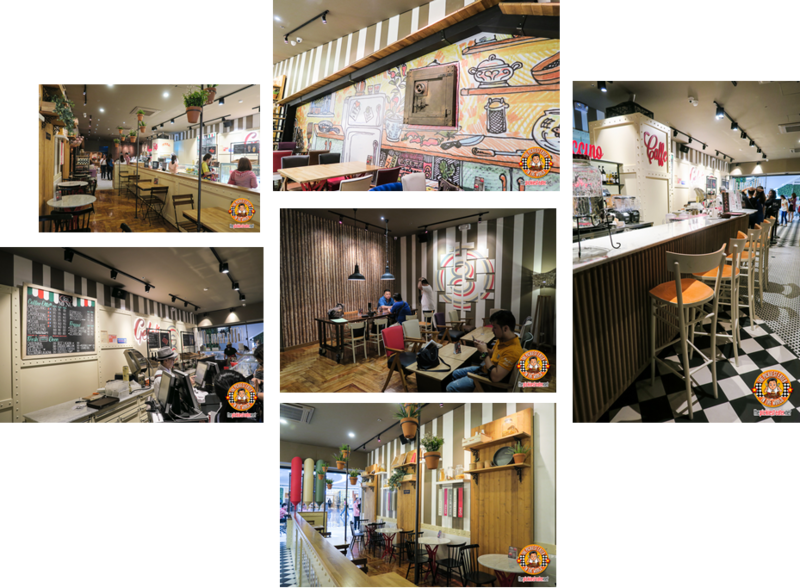 A great Filipino restaurant that serves nothing but good home cooking, kicked up a few notches up! 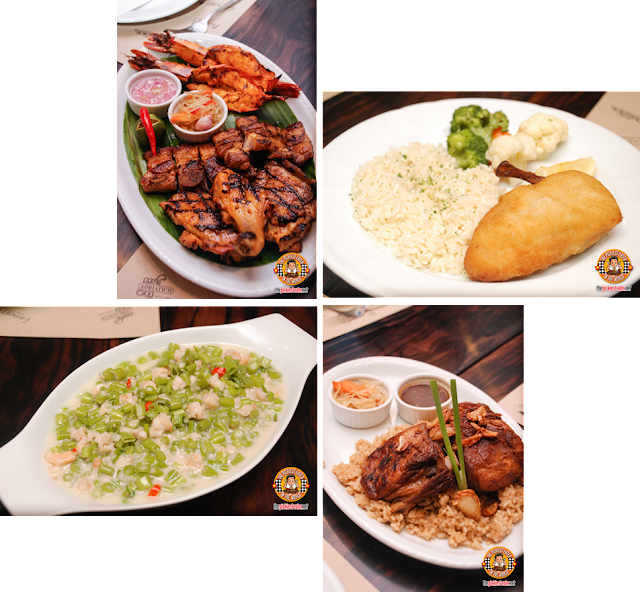 They have great items on their menu such as Sinugba Platter containing Grilled Cebuano style prawns, chicken, and pork belly, and Gising Gising (P265). The Chicken a la Kiev (P395) and the Chicken Adobo on the other hand are from their sister restaurant, Café Adriatico Express. But I have to say that you cannot go to Bistro Remedios without trying their Bamboo rice (P275)! It’s a meal in itself. We all practically fought over this plate right here. 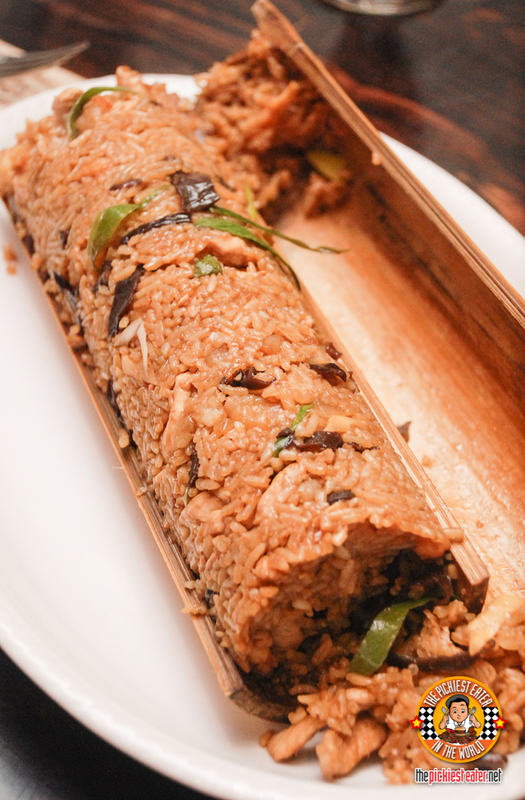 It’s a good mix of sweet and savory flavored fried rice cooked inside a bamboo. They literally crack the bamboo open in front of you, revealing this beautiful steaming rice. 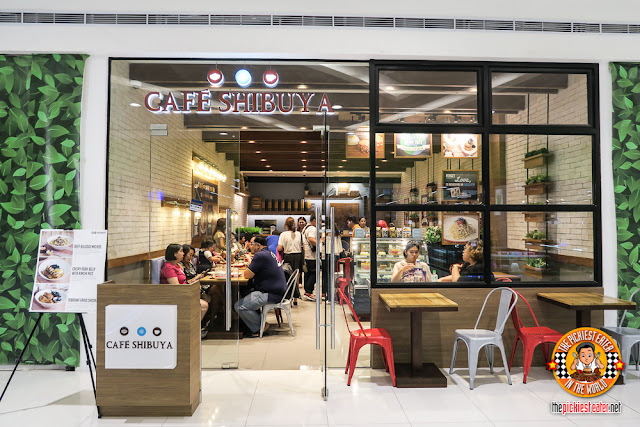 I was happy to see that there’s a Cafe Shibuya in SM North. Whenever we would go there, we would always order one of their famous toasts. That day, we had the Original Shibuya Honey Toast. One bite and I totally forgot how full I was already. 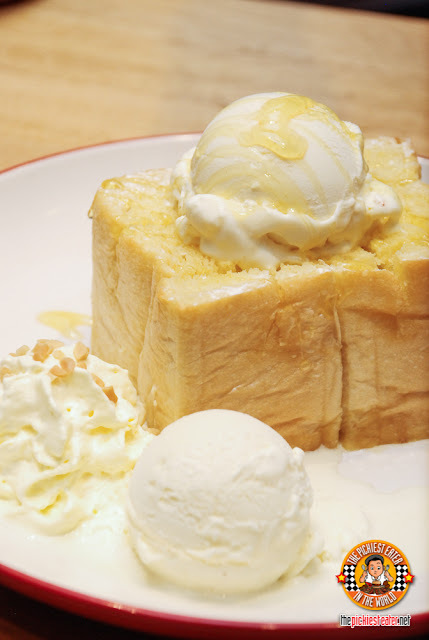 Thick but super soft toast with vanilla ice cream on top, then drizzled with honey. I don’t think I need to expound on how good this is! The image speaks for itself! Although Cafe Shibuya may look more like a dessert place, they actually serve savory food too. 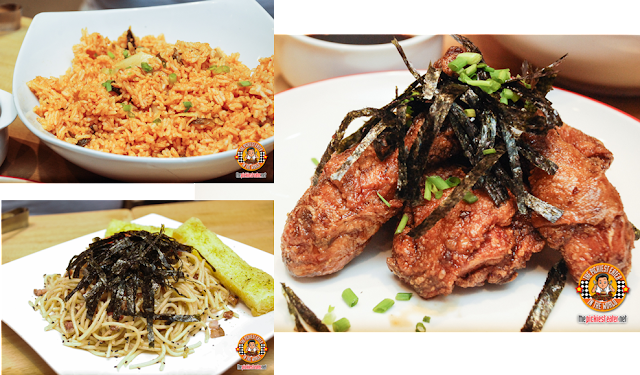 Like the Mentaiko Pasta, the Tebasaki Fried Chicken served with Kimchi rice. Really good! But of course once again I had to brush off the nori strips. 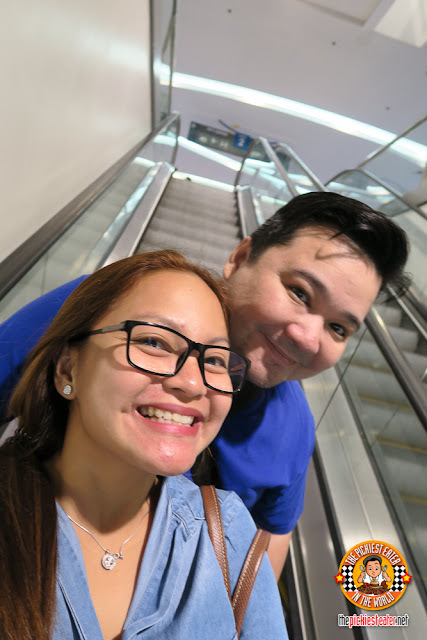 Rina nearly had to roll me to our next stop, but I knew, for the sake of my beloved readers, I needed to soldier on. (The things I do for you guys!) 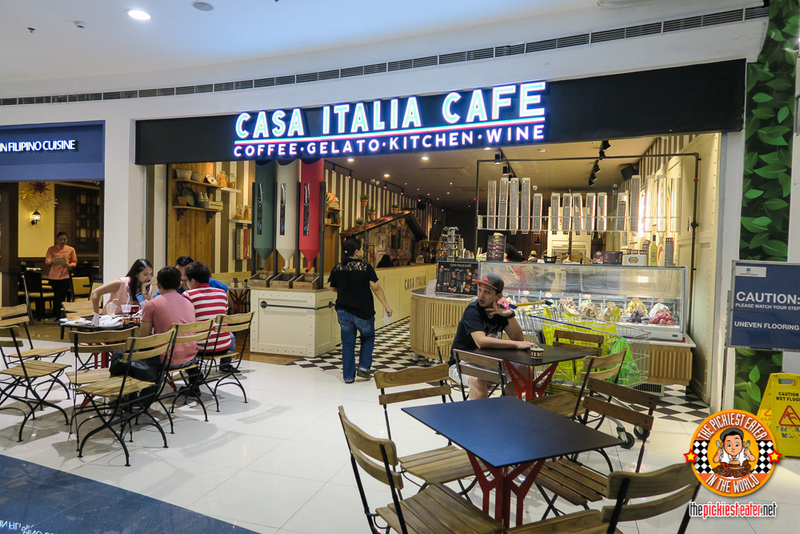 From Japanese cuisine, we got a taste of Italy at Casa Italia. Their SM City North EDSA branch is constructed beautifully. Like every corner is, as they say, Instagram-worthy. See what I mean? It felt like we were in a nice homey diner actually. 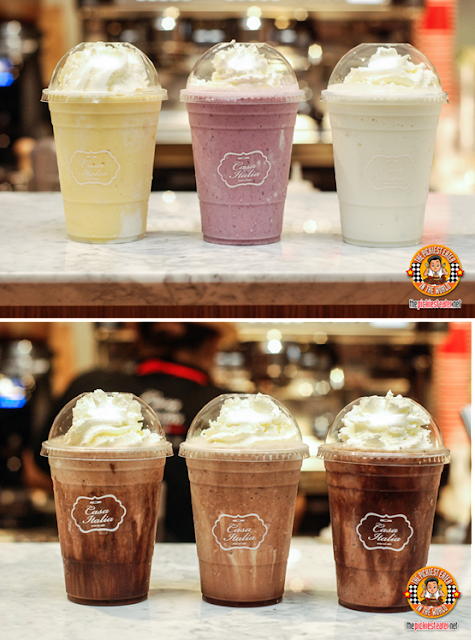 First thing you will see are their beautiful mouth-watering gelato. But you should know they have savory meals too! We tried the Spaghetti Bolognese (P230), the 1/2 Roast Chicken (P350) which has these super soft and flavorful potatoes on the bottom, the Pepperoni rectangular pizza (P150), and the Blue Cheese rectangular pizza (P180) which is Rina’s favorite..
And of course, they’ve got lots of desserts to boot! To different types of hot coffee. They have everything! And then finally! We were on to our next and final stop! It was our first time in this next restaurant. A truly unique concept that’s a first in the Philippines. 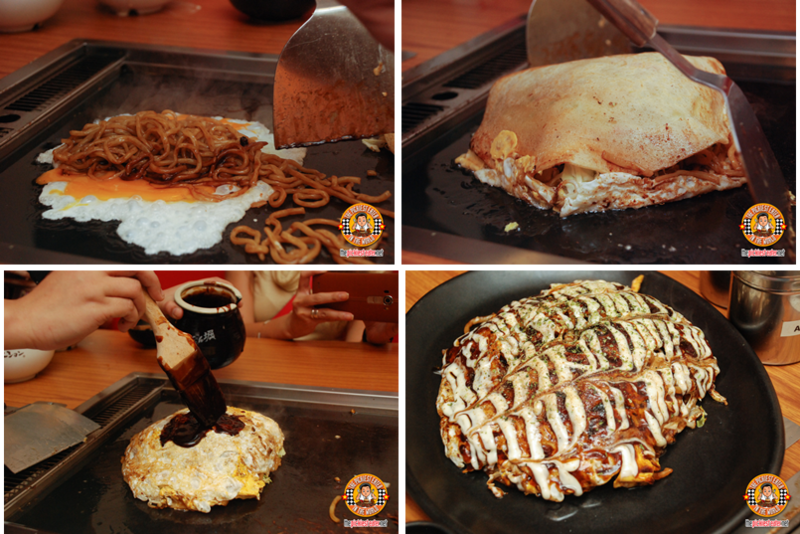 A cool okonomiyaki experience at Dohtonburi located at the City Center of SM City North EDSA. 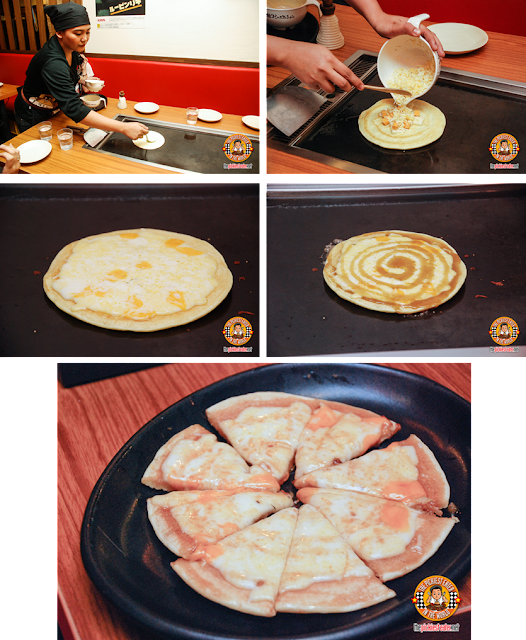 The first thing that was cooked in front of us is the Four Cheese (P290). It’s got Mozzarella, cheddar, parmesan, then some more mixed cheese, tomato, tempura bits, red pickled ginger, spring onion, egg, cabbage, and Okonomiyaki paste. Our waited cooked it in front of us like she was cooking pancakes with lots of cheese filling. I think this is the simplest one, but definitely one of the best. I think its TIM HO WAN.not TOM HO WAN.